Using face scrubs at a regular interval is very necessary to keep the skin rejuvenated and free of all the fine lines and wrinkles. There are many natural face scrub onlineavailable which one can check and buy only if it matches their skin type. Or else they can go for simple homemade skin scrubs. This is very much necessary when one reaches the age of 30. This pack helps in reducing the redness and improves wrinkles by minimizing the pores. In order to make this pack at home, one needs half a cup of organic plain yogurt, one fourth cup of oatmeal, a finely grated medium sized carrot and 2 vitamin capsules. Firstly one needs to mix the oatmeal, yogurt and the carrot together and then squeeze the vitamin E tablet oils in the same mixture. Then one has to rub this on the face in a clockwise motion for 60 seconds and keep it there for 20 minutes. Then rinse it well with lukewarm water. Do it at least once every 2 weeks to get good results. If one is too much bothered with acne problems then using aspirins on them can be the best solution as it has salicylic acid and it helps in tightening the pores and remove the oils. In order to make this at home one needs 5 aspirin tablets, a tea spoon of witch hazel and 1 tea spoon of honey. One needs to crush the tablets in the witch hazel and then combine it both with honey. If one wants more exfoliation, then they can use plain yogurt instead of honey. Apply it on the face and keep it for at least half an hour before washing it off with lukewarm water. Checkout & Read also: Baby Formulas: Everything You Need To Know! In order to get supple skin one needs to use this scrub. To make this at home one needs half a cup of oatmeal, 2 tea spoons of raw honey, 3 table spoons of crushed walnuts, one fourth lemon, one fourth tea spoon of ground cinnamon and 2 tea spoons of sugar. One can take help of a mixer and crush all the ingredients together and make a thick paste out of it. Use the lemon juice to stick all the ingredients together. Finally add the sugar and scrub it well on the neck and the face with the finger tips. Keep it for 15 minutes before washing it away. In order to make this at home, one needs a table spoon of granulated sugar, 2 drops of water, a few drops of lemon, lavender, orange or tea tree essential oil. One needs to combine all the things together and then gently scrub it on the face with fingertips. But when doing this, avoid the eyes. Keep it for a few minutes and then wash it away. Apply a moisturiser after this if necessary. 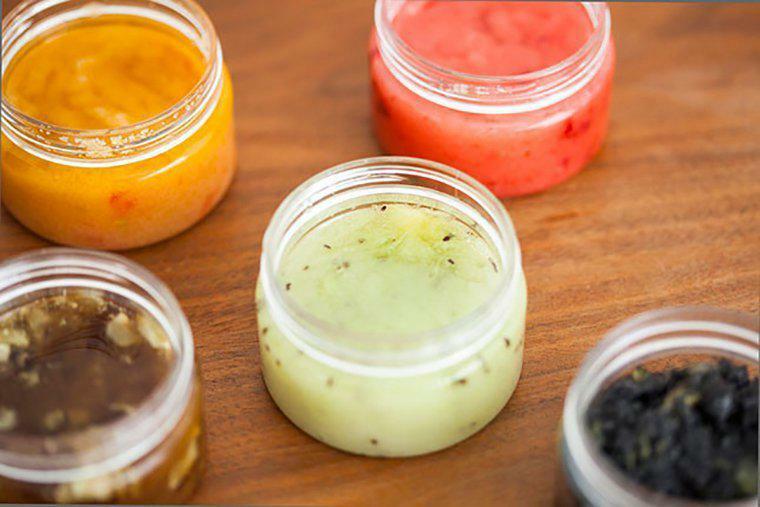 One can use handmade face scrubs as well that are available online and keep their skin good.